I read this article and found it very interesting, thought it might be something for you. 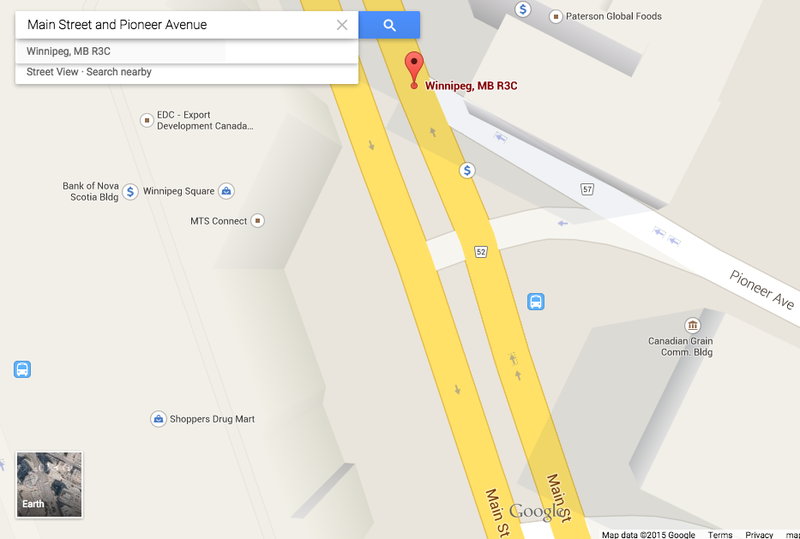 The article is called Winnipeg Serial Killer – Taking Measurements with Google Maps and is located at http://www.automatingosint.com/blog/2015/04/osint-winnipeg-warns-of-serial-killer/. One of the more useful features of Google Maps is its built-in tool that lets you measure the distance between two or more points on a map. This is extremely useful when you want to perform a geographic search using the Twitter API for example, so that you can set an appropriately sized search radius. As is the case sometimes, it can be useful to take a look at social media or other information surrounding the general area of a crime or a rash of crimes. 1. 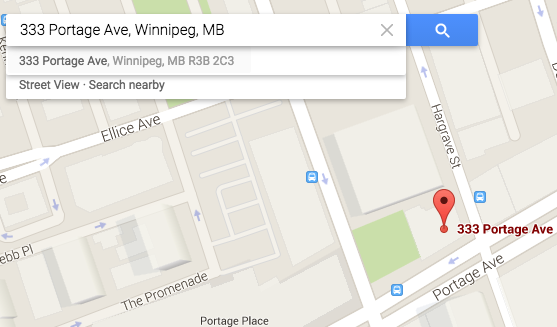 Address – 333 Portage Ave.
2. 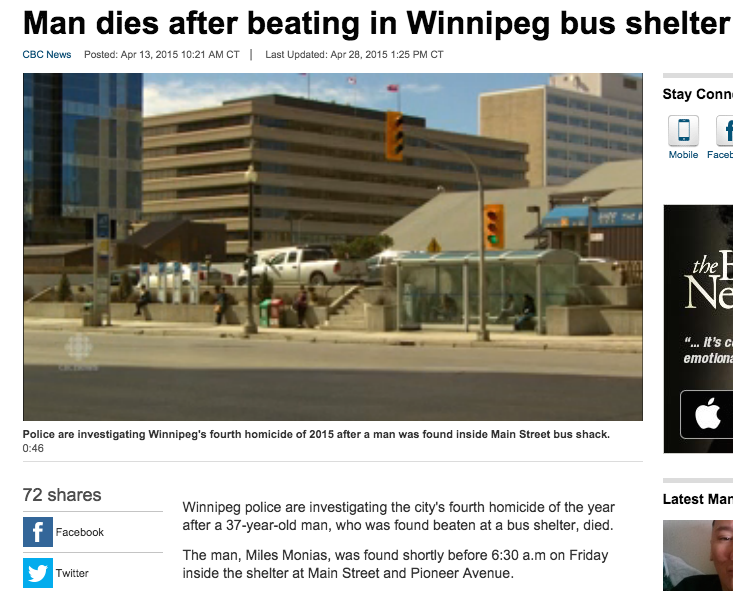 Address – 329 Hargrave St.
CBC.ca – Winnipeg bus stop where first murder occurred. 4. Location – Bus shelter Main St. and Pioneer Ave.
Now lets assume that we want to monitor the area surrounding the three murders using the Twitter API or some other geo-enabled site or platform. The trick is to not have such a gigantic area that you are collecting junk data but also to be wide enough that you aren’t missing posts that are on the periphery of your area of interest. Google Maps has a handy little measurement tool that can help us here. Head over to maps.google.com and punch in the first two addresses from our selector list above. We can see that the two newest locations are very close together. Now punch in the third location (literally you can do “Main St. and Pioneer Ave.”). Now we have the general area of where this is located. In a separate post I will show you a beginner’s guide to finding the exact location of the bus stop where Monias was discovered. Now that we have our three locations we can get down to taking measurements. 1. Right click on the map near your Main and Pioneer marker and select “Take Measurement”. 2. Punch in one of the previous addresses: 329 Hargrave St.
3. Right click on the map again a little ways away from your 329 Hargrave St. marker and select “Measure Distance”. You should now have a little ruler that has come up to show you the distance as shown below. So what we are seeing is that the distance “as the crow flies” between the two crime scenes. We can now use this distance measurement to set a radius using a Twitter API search or other platform. For example you might use the latitute/longitude of the 329 Hargrave Ave. address, and set a radius of 750m to give you some additional overlap extending just beyond the furthest crime scene. In a future blog post I will show you a simple example of how to geolocate the bus stop accurately based on the photo from the CBC article. This will give you a feeling of how the pros (such as the folks over at Bellingcat.com) do it with much more difficult-to-locate photos. 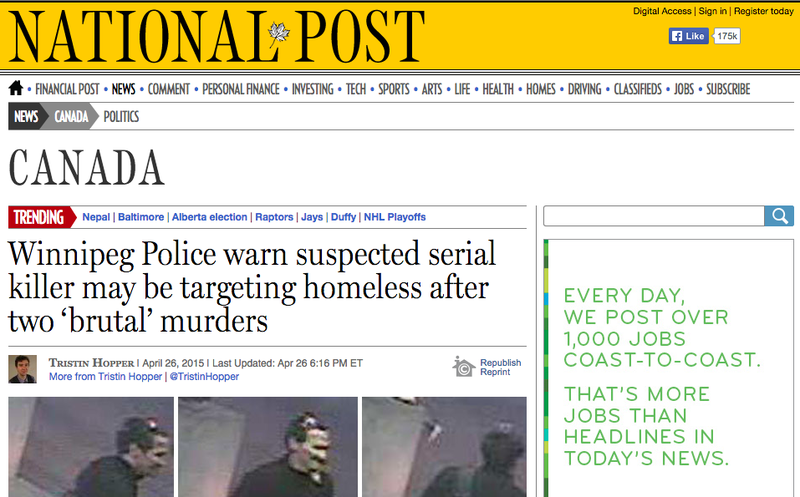 NOTE: They have a suspect in the killings if you were curious. More here.